We’re excited about this fabric for a few reasons. First, it’s just so pretty. 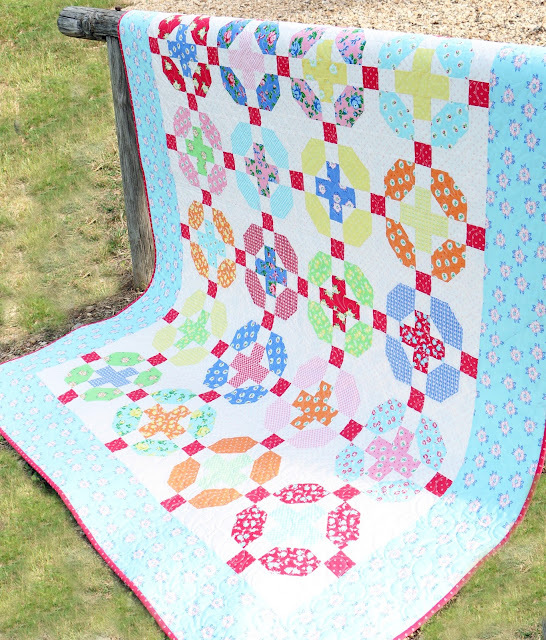 Second, it’s the basis of our eponymous First Blush BOM Quilt book! 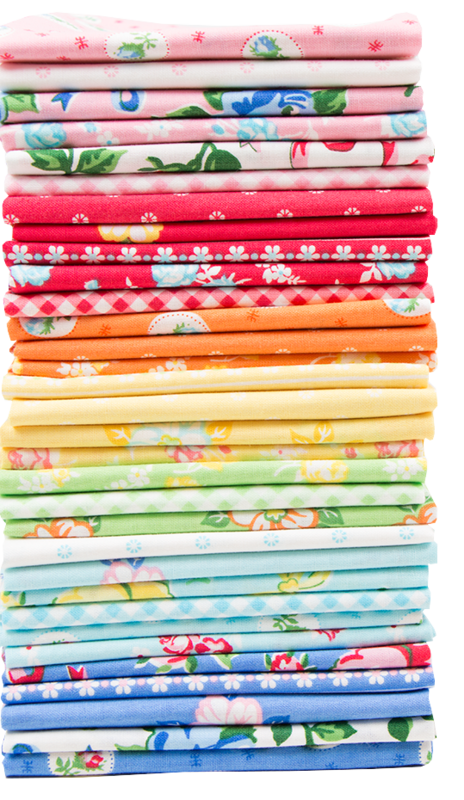 These bright, happy florals inspired our Marigold quilt - a free pattern we designed just for you! (Download here.) Pick 24 of these pretty prints and mix and match them to your heart’s content. The assortment of print sizes in these 1930's inspired prints pair perfectly with one another with just enough variety to keep it fun! If you’re ready to tackle an heirloom quilt out of First Blush, our BOM quilt is a stunner. Intricate blocks are made from simple stripsets and our Starburst Ruler from Creative Grids. Bursting with inspiration? We're here to help! 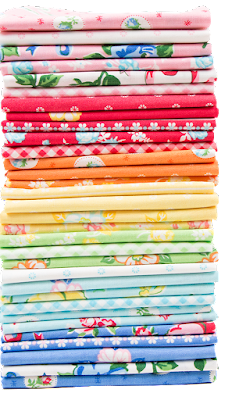 Comment below and make sure to leave your email address for your chance to win a copy of the new, adorable First Blush book or a copy of the Posy Pattern! 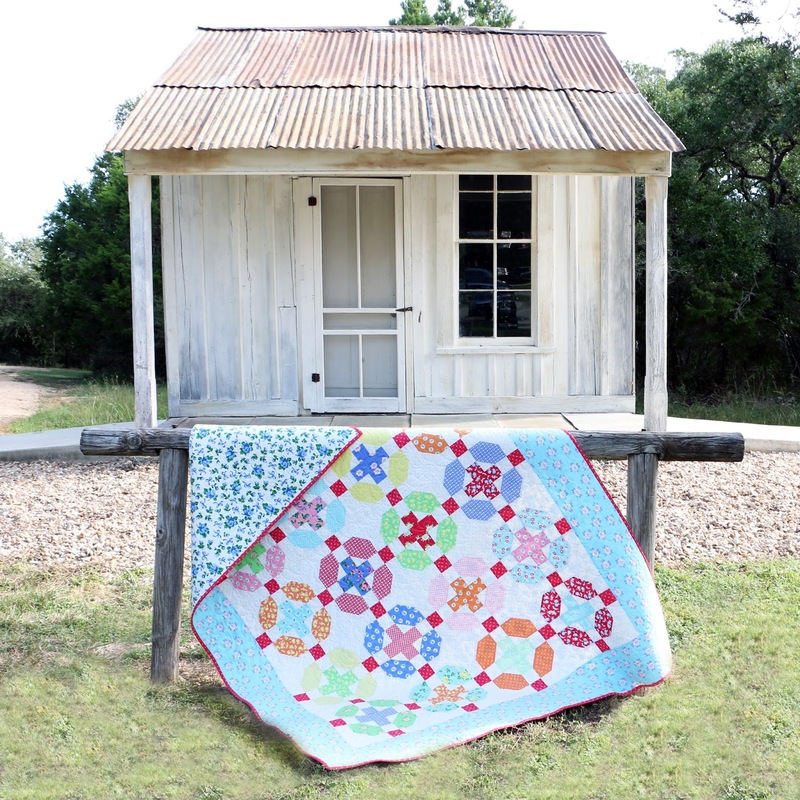 Be sure to check out these crafty blogs below for a new free pattern everyday through October 27, 2016, and for your chance to win more quilty goodies!